Try new formula 1 manager game! 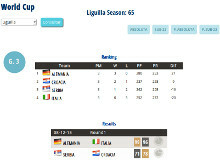 and make an unbeatable team in the BasketPC's virtual league. Gran Juego!! Peligro de sufrir adicción al jugarlo!! Great basketball manager game. Very addictive! nearly 3 years playing this game, it´s really adictive! 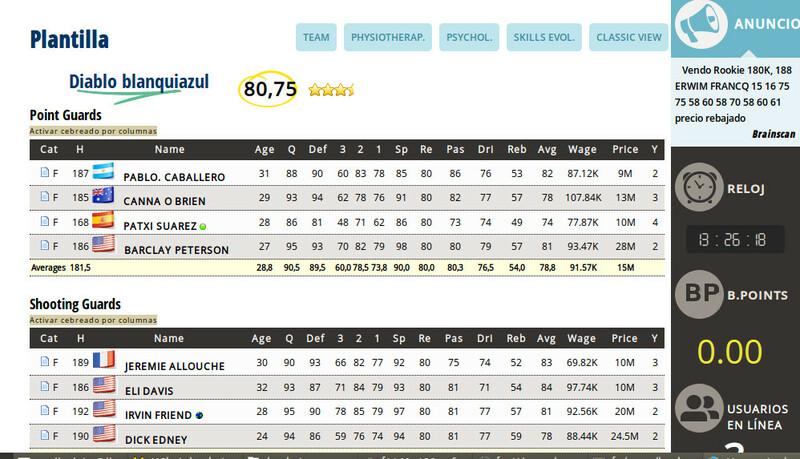 The best online game I`ve played ever! Grat game, almost two years playing. Highly recommended! If you want to experience a taste of other cultures by relating with other managers, play this game, Give it a try! Free! Excelente juego de basquet. Es imposible dejar de jugarlo. Tiene una gran comunidad. Es sin duda, el mejor juego online de baloncesto. El mejor juego de basket. Brutal. The best. Great game, but be carefull... After you log in you cannot stop! Buen juego, aunque algo menos desde sus últimos cambios. Abstenerse de entrar en su foro, solo para aduladores. 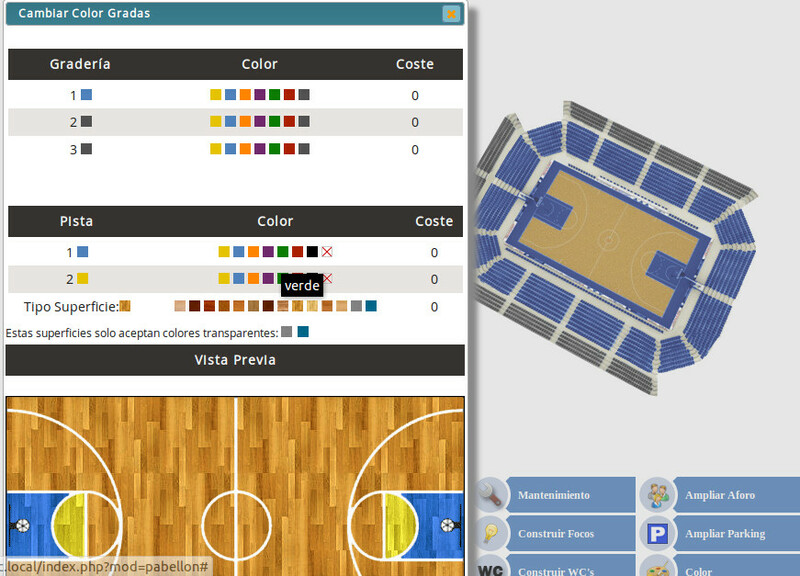 De lo mejor en basket y en general en cualquier juego deportivo. lo mejor de lo mejor!!!!! Even if I start searching for a new online game, I can be sure I would never find a better one. 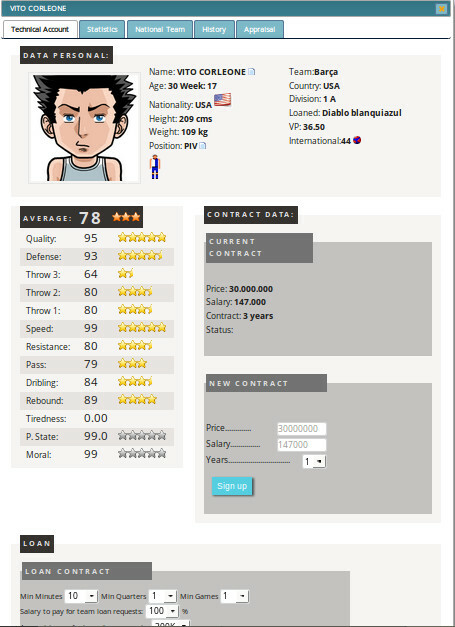 If you want to find a real adictive community and a funny game to play, you have found the right one: Basketpc. And what is more important, in continue development, based on players opinions. El mejor manager de baloncesto! Menuda bafofia de juego, por fiarme de los comentarios lo unico que he conseguido es perder tiempo. What is this??? Can't find to put it ingame in English, i can't write it but I can read it! But don't speak spanish, and why do i start in autralian competition when I'm from belgium?